SEGA’s upcoming Yakuza series spinoff game, JUDGE EYES aka Project Judge in the west, developed by Ryu Ga Gotoku Studios is set to have a mini-game that may have been inspired by The House of the Dead and Yakuza: Dead Souls. 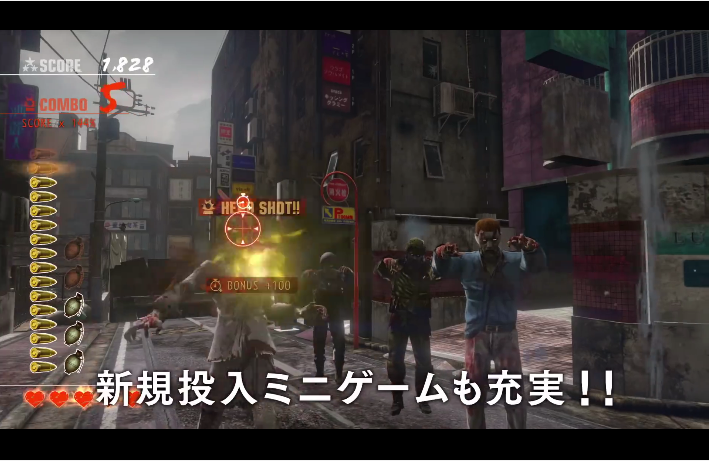 By taking a look at a brief glimpse from the extended gameplay trailer on the 5:28 mark, you can see the mini-game in action with a similar HUD to The House of the Dead 4 and Overkill. JUDGE EYES wasn’t the only Yakuza spinoff to feature a mini-game based on The House of the Dead. Kurohyō 2: Ryū ga Gotoku Ashura hen (Black Panther: Like a Dragon Ashura Chapter) featured a mini-game called Castle of the Dead, which you can view the gameplay footage on YouTube. JUDGE EYES also includes a playable version AM1’s arcade action racing game, Motor Raid, which was made by the same developers behind The House of the Dead. JUDGE EYES will be released on December 13, 2018 in Japan and is expected to release in 2019 in Europe and North America.